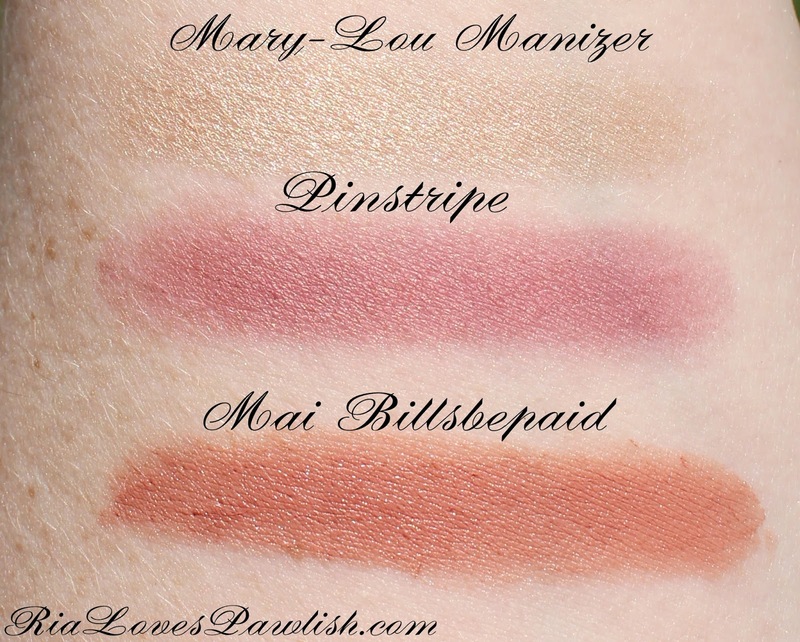 Ria Loves Pawlish: theBalm Haul, Swatches, & First Impressions! i went over to Kohl's yesterday while i was out running around with Mama Pawlish. 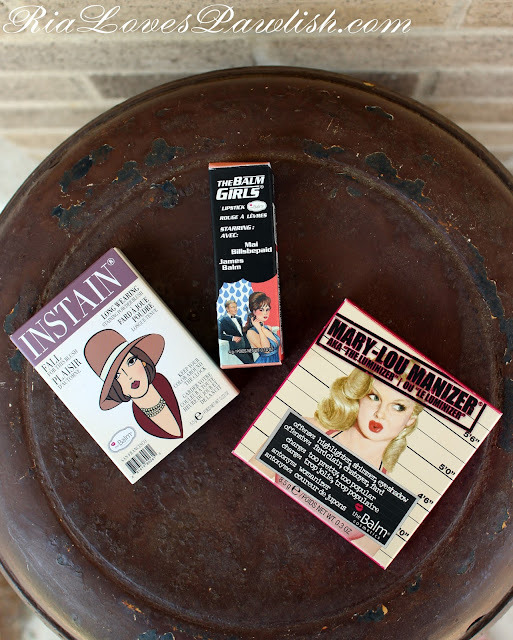 i've been wanting to try out theBalm makeup, but i never seem to be anywhere that sells it. the only brick and mortar store that i know of that sells theBalm in the US is Kohl's... so i decided to head in and check it out! Mary-Lou Manizer has such an adorable box and compact... i just had to photograph the back of the box so you can see it, the compact has the same cute picture as the front of the box. here's a look at Mary-Lou Manizer up close! it's a beautiful light golden champagne powder that looks beautiful as a cheek highlighter, but also can be used as an eyeshadow! 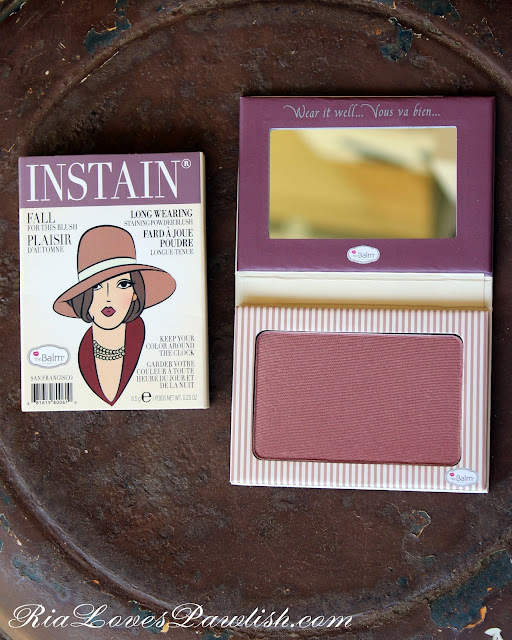 it's super soft, pigmented, and easy to blend. so glad i finally picked it up! i'm ultra fair, and i love how it looks on me. i think it's one of those colors that will be beautiful on you, no matter what your skin tone is! here are swatchies are of all three! you can find theBalm on their website, www.theBalm.com. you can also find their products in store at Kohl's, and on the Kohl's website www.Kohls.com. hope you all enjoyed this look at theBalm! i'm so glad i decided to give them a try. have you used any of their products? what do you recommend?? i'd love to try out your suggestions! I like the sound of all of them! 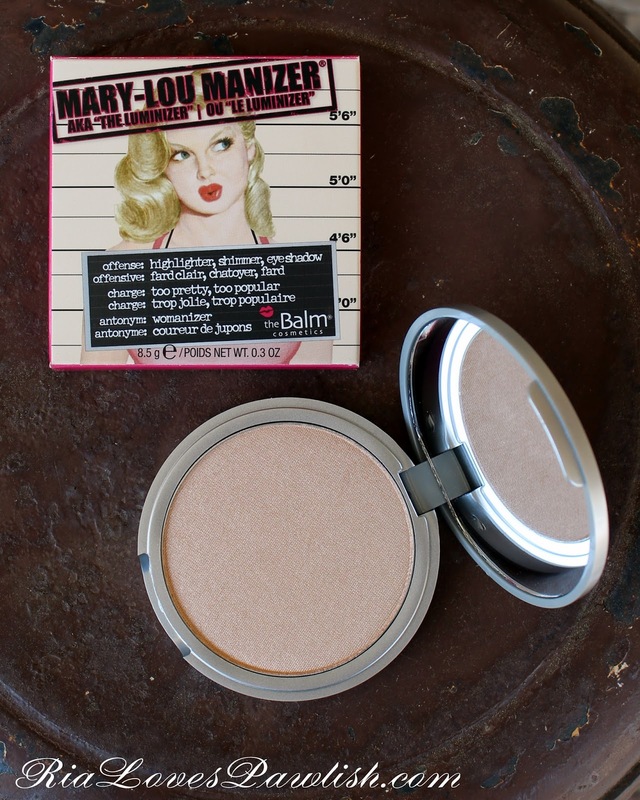 =) I really like the Mary-Lou Manizer packaging! :o SO cute!